A civil defence spokeswoman told AFP news agency on Friday that a child was among those killed by floods in the Dabaa region, south of Amman. A main road connecting the capital with the south of the country was also cut off, she added. 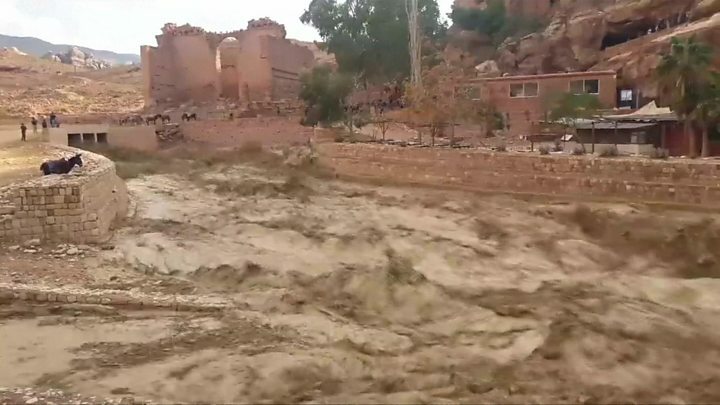 In Petra, floodwaters in some areas rose up to 4m (13ft), state TV reported. Footage showed people on the city's main road trying to stay clear of the water. Jordan has suffered weeks of heavy rain. There was a public outcry last month after 18 children on a school trip were swept away, leading to the resignation of the country's education and tourism ministers.